"Nantes have lost eight of their last 12 matches. Two members of their ideal back three will be absent this weekend." Lyon have plenty of problems on and off the pitch but ought to earn some respite with a win over struggling Nantes this weekend. Lyon manager Bruno Genesio's future is uncertain but victory here would help Lyon take a big step towards claiming a top-three place and Champions League football next season. Recent defeats to Rennes (2-3) in the French Cup semi-final and at home to relegation-threatened Dijon (1-3) in Ligue 1 last weekend have thrown Genesio's future into doubt just as he appeared on the point of signing a new contract. There's speculation that ex-PSG and France manager Laurent Blanc has been sounded out as a potential replacement but for the time being Genesio is just about still the man in the job. Lyon's inconsistency has been a frustrating feature of the season but they ought to collect all three points on Friday night. They've named a strong squad and have the depth and quality in attack to cause the hosts serious problems. Nantes are on a dismal run of eight defeats in their last 12 matches (W2-D2-L8). Morale is low and they have team news problems, too: Edgar Ie and Nicolas Pallois are automatic starters in Nantes' back three but both players are ruled out this weekend so manager Vahid Halilhodzic will be forced to field a makeshift defence. Lyon are odds-on ([1.8]) to win but you can find a bigger price on a Lyon victory by backing the visitors on the Asian Handicap. For a full guide to Asian Handicap betting, click here. Strasbourg enjoyed one of the greatest weeks in their history last week and another night of celebration is on the cards at Stade de la Meinau. The Alsatians' home ground is one of the places to be in Ligue 1 right now and Thierry Laurey's players look ready to make Guingamp their latest victims. Strasbourg's period of glory began with the penalty shoot-out victory over Guingamp (0-0 aet) in the League Cup final at Stade de France on March 30. Four days later they romped to a sensational 4-0 win over Reims in a rearranged league game and then last weekend delayed PSG's Ligue 1 title celebrations by at least a week by clinching a fully deserved 2-2 draw at Parc de Princes. Having already qualified for next season's Europa League by virtue of winning the League Cup Strasbourg have no urgent need to climb the Ligue 1 table. Yet they're playing with such abandon and confidence they'll be keen to put on another show for their fans, who are among the best in the division. Bottom club Guingamp have the division's worst away record (W2-D3-L10) and have failed to win any of their five Ligue 1 games on the road (W0-D1-L4) since the start of the year. They may want to make up for that League Cup final defeat at the hands of the same opposition a few weeks ago, but there's little in their recent performances that suggests they'll be good enough to do. Odds-against, Strasbourg are a strong pick. PSG are expected to clinch the Ligue 1 title on Sunday night - but they might not do so in quite the fashion they would like. 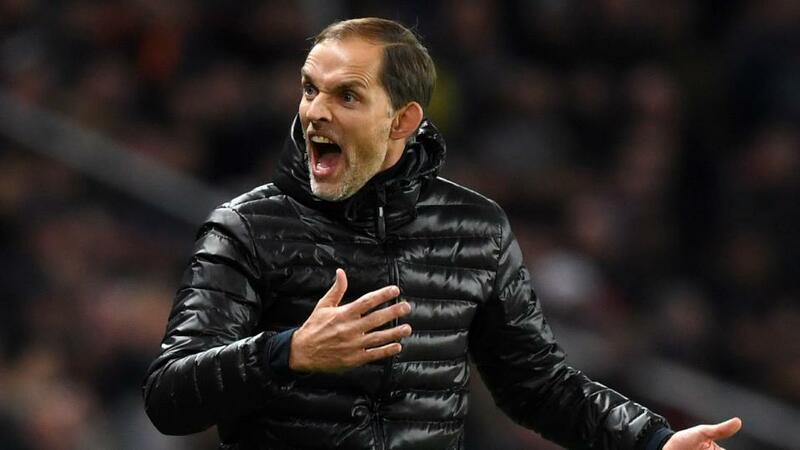 As long as they avoid defeat they will collect a sixth title in seven seasons but Lille look equipped to ensure the Parisian party-poppers go off with a whimper rather than a bang. Lille have every reason to want to do well as they're keen to nail down second place as soon as they can. They're five points ahead of third-placed Lyon with seven games to go so cannot afford to ease off yet. In front of a sell-out crowd at Stade Pierre-Mauroy and a large global televised audience this will be a great opportunity for Lille to show their worth. Then there's the fact that PSG simply aren't playing that well. They flunked their chance to wrap up the title last weekend, drawing 2-2 at home to Strasbourg, and laboured to a 1-0 win at Toulouse in their last away game. Without injured duo Edinson Cavani and Neymar, Kylian Mbappe carries too much responsibility in attack - and while he's capable of winning games on his own, extra help from the supporting cast would be nice. Lille are [4.9] and The Draw's [4.0]. Both selections are worth supporting. Alternatively, laying PSG at [1.8] or backing Lille with a small Asian Handicap start are good options as well.